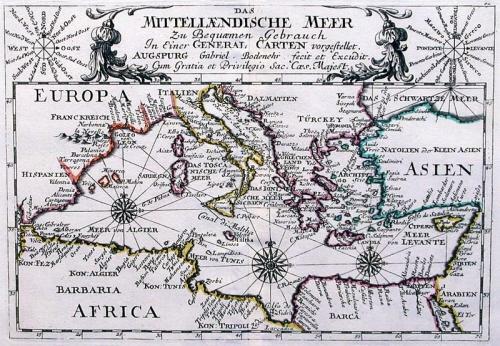 A detailed chart of the Mediterranean Sea with numerous ports listed. Three compass roses are engraved in the sea area whilst in the top corners are a simple wind and compass rose. Scarce. Fold(s) as given.